We're knee-deep in holiday reading around our house. And truly, what's better than snuggling up with a great book and your little one on your lap while snow falls, glittering and silent, outside? Not much, in my opinion. Because my little one is half French (and because I miss Paris, desperately) Madeline's Christmas, by Ludwig Bemelmans. It's Jane Chapman's adorable illustrations that have turned us into repeat-readers of Karma Wilson's sweet, rhyming story Bear Stays Up For Christmas. I've always been a fan of Dickens. 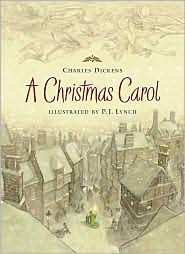 His classic A Christmas Carol is the perfect way to introduce Dickens to a new generation, especially when it is a version as beautifully illustrated as this one, with moody, mysterious illustrations by P.J. Lynch. 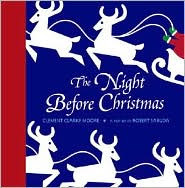 We love just about everything Robert Sabuda does, and his pop-up version of the eternal Night Before Christmas is no exception. 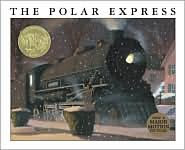 We're also still enjoying Olivia's previous pick of the week, The Polar Express by the prolific and talented Chris Van Allsburg. Ooh, Meaghan, I wanna be home reading "Madeline's Christmas" right now! And hey, you are a great person to ask: can you think of any gifts to give a Francophile? My friend (female, age 40, tres chic) loves Paris and I'm scrambling to find her a holiday present. Our favorite this year is "Olive, the Other Reindeer." 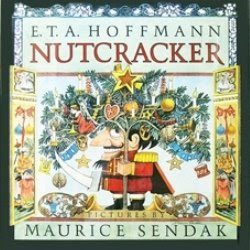 It is such a cute and clever story, with vibrant illustrations. SZ, I hope those suggestions helped! Ruth, Olive is another great one! J. Otto Seibold's illustrations are so sweet. Can you even sing the song the right way anymore? Wow I have never seen that version of the Nutcracker. How amazing!